We offer a private dining experience for parties of 12 to 26 around one large dining table. The restaurant was formerly the farm’s granary that has been lovingly and sympathetically restored and retains many original features. 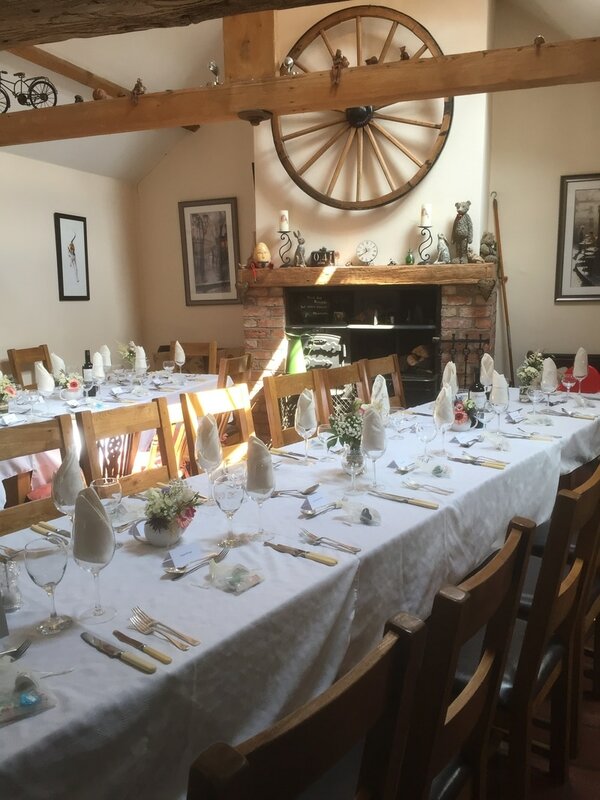 The restaurant serves traditional meals from family recipes with Angela’s trademark twist and uses locally sourced produce, including meat reared on the farm and butchered by Angela’s husband, Jeremy. >>Click here to view or download the complete list of our Spring/Summer starters. Here is a taster of our menu. >> Click here to view or download the complete list of our Spring/Summer main courses. Here is a taster of our menu. Please call Angela on 01759 305220 to book and to enquire about private dining availability. Please let us know if you have any special dietary needs and we will endeavour to accommodate them.